In 1996, the American Pain Society introduced the concept of “pain as the 5th vital sign” in order to increase awareness of insufficiently treated pain. As a consequence, in 2001, the Joint Commission for the Accreditation of Healthcare Organizations (JCAHO) added a requirement for healthcare providers to ask every patient about their pain in order to avoid under treatment of pain while in the hospital. In 2006, the Center for Medicare and Medicaid Services required hospitals to ask patients questions about how well patients reported that their pain was treated as part of publically reported CMS hospital quality scorecards. But more recently, for too many patients, attempts to control chronic pain has resulted in opioid addiction. So who is to blame: the JCAHO? Medicare? Hospitals? The pharmaceutical industry? Individual physicians? Well, the answer is… all of the above. The American Pain Society’s “pain as the 5th vital sign” initiative came out at a time before palliative medicine had really emerged in the United States. Prior to the mid-1990’s cancer pain management was frequently inadequate and there were limited medication options for treating chronic pain. Oxycontin was approved by the FDA in 1995 and released in 1996, the same year of the “pain as the 5th vital sign” initiative. Oxycontin was initially marketed as an “addiction-proof painkiller”. The combination of a powerful new long-acting oral opioid plus the messaging that physicians have not been treating pain adequately rapidly led to excessive prescription of oxycontin which recently has had sales of over $2 billion per year. And the “addiction-proof” opioid turned out to not be addiction-proof at all. The hospital reassesses and responds to the patient’s pain, based on its reassessment criteria. It is point number 4 that has led hospitals and physicians to overzealously treat pain. 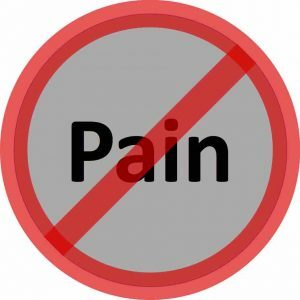 Because a large number of hospitals do not have easy access to inpatient pain management specialists, many feel backed into a corner by point #4, interpreting it as saying that if you do not have a pain service, then you have to treat the patients pain… period. Needless to say, hospitals are strongly motivated to err on the side of overtreatment of pain rather than risk undertreatment which could result in penalties levied by the JCAHO. Did you need medicine for pain? It is easy to see how physicians, whose income is tied to how well patients’ pain is controlled, will do everything they can to eliminate pain, including prescribing excessive opioids since there is no penalty for overtreatment but a financial penalty for undertreatment. So where does that leave us? In Ohio alone, 3/4 of a billion pain pills are prescribed each year – that is 65 pills for each Ohioan. 20% of chronic opioid users are addicted. The State Medical Board of Ohio has implemented several rules and guidelines to reduce the abuse of prescription opioids including an opioid prescription limit of 3 days for pain associated with emergency department or acute care hospital visits, the use of signed “pain contracts” by patients receiving opioids for > 3 months, regular interrogation of the State’s database of opioid prescriptions by outpatient pharmacies for opioid prescriptions > 7 days, and periodic urine drug testing. Set realistic patient expectations. A 30% reduction in pain intensity should be the goal (for example, a reduction from 10 to 7 on a pain scale). Complete elimination of pain is rarely achievable and should not be what we tell the patients to expect. Non-steroidal anti-inflammatory drugs and acetaminophen are often as or more effective than opioids in many types of pain. Multi-modality therapy (massage, physical therapy, etc.) is effective. Escalating doses of opioids often does not reduce pain scores. The function of opioids declines after 6 weeks of use. A PCA pump may be appropriate if repeated doses of a parenteral opioid are anticipated. If you are an outpatient physician who does not frequently prescribe opioids and are not familiar with the risks and legal requirements, then do not prescribe them for chronic use. If you prescribed opioids for what should be a self-limited condition and the patient continues to request opioids, that should be a red flag. Make sure you are adhering to your state medical board’s requirements for opioid prescription. If you are not a pain management specialist and your patient asks for opioids for > 3 months, get a pain management consult. If you are an inpatient physician and a patient with known or suspected drug abuse needs inpatient opioids, be sure that they are given by directly observed therapy, preferably in liquid form, to prevent drug hoarding. If you admit a patient who reports being on chronic opioids confirm this with their primary care provider before either increasing their maintenance drug or discontinuing it. If you believe that an inpatient who reports being on chronic opioids is abusing or selling their prescription medications and you feel compelled to stop their opioids while the patient is an inpatient, then do so in conjunction wth an addiction medicine consultation. When considering discontinuing chronic opioids, in either the inpatient or outpatient setting, always consider the risk of opioid withdrawal in the setting of the patients underlying medical condition and if there is concern that withdrawal could be dangerous, then obtain consultation with an addiction specialist to minimize the risk of harm to the patient during opioid withdrawal. If you have a patient who is frequently admitted for pain management (for example, a patient with sickle cell anemia), develop a patient-specific pain management plan that can be easily located to guide medication prescription each time that patient is admitted. Ten years ago, the opioid pendulum swung too far one way in one direction. More recently, it has swung too far in the opposite direction. As leaders in medicine, we must strike a balance in the pendulum to promote responsible use of these medications that have both the potential to relieve great suffering but also the potential to cause great harm.